In this interview, Dubspot’s Director of Student Affairs Kelly Webb speaks with DJ Cortega about the Electrafrique collective and the house music movement in Kenya. 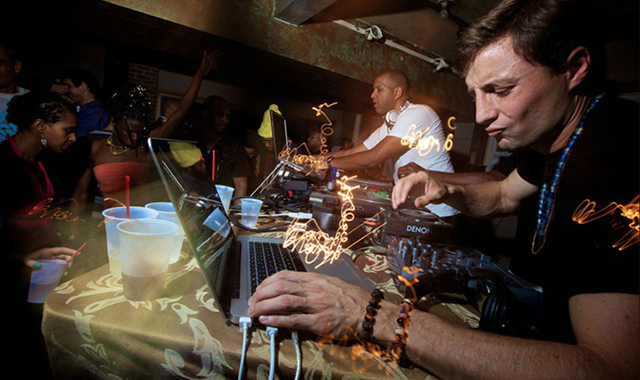 Hailing from Switzerland, Cortega has built a solid DJ reputation on the Afrobeat and House scenes in Washington, DC and New York since 2005. He has played in major clubs in the region and electronic music events around the world. I first had the distinct pleasure and honor of meeting DJ Cortega when he stopped by Dubspot New York in search of a Logic course. This mellow, humble Swiss cat spearheads a collective of native Kenyans in his adopted city of Nairobi. Together the sounds of this talented group of African artists have formed a movement called the Electrafrique party. Fast becoming a worldwide phenomenon, this deeply rooted team of musicians blend new African electro such as Coupé Décalé, Mzansi house, Kwaito and Kuduro, with deep and soulful House from all over, infused with African rhythms. Cortega grew up surrounded by music and DJ’s, such as good friend Green Giant. Like many, his musical knowledge expanded by investigating the classic sounds of soul and jazz sampled in classic hip-hop records. Growing up as a drummer, he was naturally drawn to rhythm. Shortly after teaming up with DJ Underdog, another African music artist, Cortega moved to Africa where he experienced Afrobeat for the first time. His mind was blown by the style, and the experience sparked a serious interest in African music. Eventually settling in Nairobi, he continued to develop his sound, further expanding his knowledge and study of the music he loves. Intrigued by the new school sounds of Africa, I set out to experience an Electrafrique party here in New York. While the walls sweated African rhythms, I decided to get the inside scoop on electronic music in Kenya and chatted with Cortega about music origins and inspirations. Briefly tell us some history about the Electrafrique party – how did the group start, where are you now, and where is the party headed? DJ Cortega – Electrafrique is a movement that brings electronic music with strong African roots and influence to dancefloors across the globe. We’ve been performing with this jam in close to 15 countries, across four Continents. We are huge believers in the global appeal of African music, old and new. I have seen this manifest with this show, from Mumbai to Nairobi to New York City. I started this jam in 2010 when I was still based in Washington, DC. I’d team up with DJ Underdog, who’d been a champion for African music in the capital city. I then moved to Nairobi, where I have been for over 4 years now, and where Electrafrique has really taken roots. There, I partnered with an all-Kenyan crew formed by Electrique DJs and the Beat Parade Band. Together we’ve established Electrafrique as a strong brand, in particular by innovating with our fusion of DJing, live music, and pioneering the Afro House sound in the Kenyan capital. We also run a monthly event in New York City in partnership with the Roots’ Okayafrica, and we’ve seen this party grow since its launch in January this year. The thing I realized with that show was, there was major interest in new African music, and that few events would deliver a contemporary, if not futuristic, pan-African sound. You’d have African communities kind of jamming in silos, and lovers of old school Afrobeat in their corner elsewhere, but only few events really brought all of these sounds together… so I see this event as a pan-African one, that caters to everyone who’s gets moved by the Bright Continent’s music. It’s really meant as a unifier, a place for music lovers. I have always held music to be the universal language that breaks down barriers between folks. We try and achieve that with Electrafrique. Well, we are going to launch a series of events in Paris as well, which is very exciting, given Paris’s status as an almost-African capital. We are also deepening the connexion in Dakar, and growing the electro house scene there. I have some plans for Nigeria as well, where we haven’t yet produced Electrafrique. We are doing our first events in Madagascar towards the end of this year, and Addis, Abeba in January with Africology… So lot’s going on. In parallel, Electrique DJs are working on their first album, and we have a number of remix projects in store as well. Keeping busy, you know? What’s a typical EA night? Is the music strictly from the continent? Strictly electronic? Live acts? Typically, an Electrafrique event is really focused on African music, or music that is rooted in African influence, be it in its rhythms, instruments, etc. It can be pretty broad in a sense, but Africa is always at the core of the focus. Most of the music we play has an electronic base, hence “Electrafrique”, but we are not strictly bound by the “electronic” factor. We’ll play any good music from across Africa that will make people dance… I love mixing a good Soukous set, with more electronic beats later on. Same goes for Semba, Afrobeat, etc. In fact, most music we play finds its roots originally in non-electronic music. For me, it’s important to keep that connection, both to break down the monotony that can characterize an electro-only experience, but also kind of for didactic purposes. It’s real important to me that people understand where the music that’s currently hot comes from. It’s never from nowhere, there are always various sources of inspiration, music reinvents itself with the times, but remains rooted in different kinds of traditions. I think the tendency to forget about the past is a very common human trait. Think about all the house heads today who don’t know a thing about disco, and so on and so forth… same applies in the African context, where I would not be surprised that many P-Square fans don’t know about the likes of Tony Allen (Fela drummer and co-creator of the Afro-beat sound) and Ebo Taylor, for example… So we try to reconcile that and bring it all back together. Beyond this, in Kenya, we also perform with a full-blown orchestra called the Beat Parade Band, consisting of 3 percussionists, one sax, keys, and a guitarist, with occasional vocalists we collaborate with too… We’ve featured a number of live acts too, and people like South Africa’s Black Motion, who may be primarily house, but perform live with their own drums. So you see, Electrafrique tries to break down the barriers of genres, time, and borders. Most people are aware of the SA House movement electrifying audiences worldwide by huge artists such as Black Coffee, but I’m wondering how the scene and the music in Kenya are different? 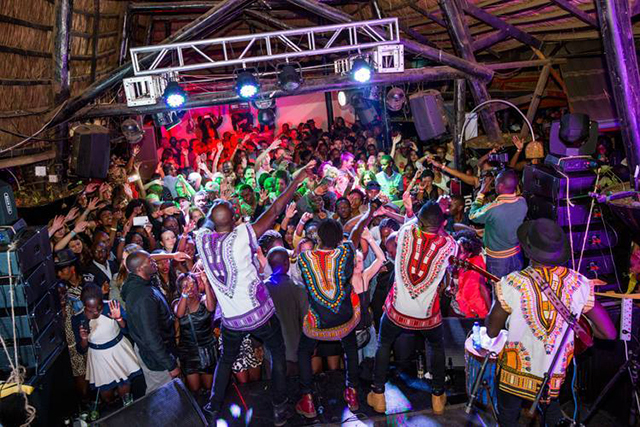 The house music scene in Kenya is still in its infancy. In fact, when I moved to Nairobi four years ago, I was really surprised to see that house music, and South African house in particular, was barely known to the public. Actually, as far as electronic dance music goes, the scene was dominated by a more progressive and tansy type of sound championed by 6:AM entertainment. These guys did a lot to introduce electronic music to Kenya, but never much on the house tip… As far as house goes, there were always pioneers like Electrique DJs, Jack Rooster, and others who had already jumped on that train, but typically, even a Black Coffee track would not frequently be heard on radio. The past few years have seen this scene grow dramatically, thanks to the push of early pioneers and support from radio stations like Homeboyz who dared to venture beyond business as usual. Events like Blankets and Wine, and Kenya Nights also brought international house acts to Kenya and raised awareness about this scene. I think, as Electrafrique, we can also claim to have played a pivotal role in this context, through our monthly event that brought house heavyweights such as Black Coffee, Boddhi Satva, Carlos Mena, Black Motion, Renato Xtrova, and Jose Marquez to perform in Nairobi for the first time. Nowadays, if you turn on the radio, any day you’ll hear some African house music played several times in the day. Another sign that this market is burgeoning is the number of emerging producers coming out of Kenya. I can’t say that any is all that mature yet, but the numbers increase rapidly and the quality as well. In the States we have so much access to software and hardware and so many ways of making music that it almost becomes overwhelming sometimes. What equipment are most people rocking to DJ? What is the production process like where you live? Technology evolves so fast… it’s crazy… I think nowadays most Electro/House DJs in Kenya perform on CDJs. It used to be tough to come by good CDJ-2000s, but it has now become pretty standard in top-end clubs and festivals. That said, few people still use CDs, even on these decks. I am seeing more and more people rocking with Traktor (that’s what I do too) and similar software. The Hip-Hop/Dancehall crowd is much more of a Serato crowd, still rocking the good old MK2. As far as production goes, most people I know these days use Logic Pro, although I could not say it’s a standard. There is still a lot of Fruity Loops being used, which has been very popular across Africa. Ableton Live too is out there. Most folks I know will blend the purely electronic production with live elements, be it drum sets, guitar riffs, or vocals. You find a “human” element in most, if not all the music made here. I like that actually, that makes things warmer and less mechanistic. Who are some of the originators on the house scene in Nairobi, and who are the up and comers we should look out for? Production-wise, keep an ear out for the upcoming Electrique DJs album, which brings together artists from across Kenya, performing in their own tribal language, and traditional instruments. I think this will be very novel, for Kenya and beyond. Other cats who are putting out innovative production include St-Evo and his Celsius Degree crew. There’s a Drum&Bass beast in Nai. called Marcus Ezra. Beyond this, I would follow Jack Rooster’s radio show and the mixtape series. I see a lot of established producers and musicians who made a name for themselves in other genres of music, who are now venturing into the house world, like producer Jaaz Odongo, or the Benga fusion maestro Makadem for example. I am sure we’ll see more and more of this in future, which I find dope! What are some of the common misconceptions about music from Africa, in particular Kenia? I think the most common misconception is that African music is just for Africans… Music is a universal language, it speaks to the body and the soul regardless of who you are, as long as you are open to it. African music is for everybody, just like Hip-Hop and Rock are for everyone. I realize that most people barely know the tip of the iceberg when it comes to African music, and we still have a long way to go to make this world cultural heritage better known and more accessible to the wide world. In this, I wanna give a big shout out to record labels such as Syllart Records or Stern’s who have been outstanding ambassadors for quality innovative music form the Continent, and who are repositories of huge catalogue of African music from the 1960′s to this day. I honestly think these guys, and others with them deserve some kind of UNESCO award for safekeeping and bringing to the masses such rich and diverse cultural production… In fact, I feel like nowadays, African music is slowly making its way on the broader international scene, beyond the circles of diaspora folks and niche aficionados, and that’s a really good thing. From my end, I’ll continue to do what I can to push more visibility for music from the Continent. I guess the second most common misconception is that “it’s all the same”… I mean, when you think about how the global music industry dominated, by a few US/European majors, classifies African music into this random “World music” category. It’s easy to understand why most people would have this perception, but nothing could be further from the truth. There are hundreds of different genres of music that find roots in a very diverse, and very rich musical traditions, so a Soukous from Congo is super different from a Mbalax from Senegal, which has nothing to do with Chimurenga from Zimbabwe, and so on and so forth. There are over 1000 (some say up to 3000) languages spoken in Africa right now, so that should give you an idea of the cultural diversity on this Continent. What is the one thing you would like people to take away about your movement? If you like dancing, and if you like traveling with the music you bounce to, then Electrafrique is for you. Come check us out at a show near you in DC, NYC, and Paris or on the Continent (www.electrafrique.com).